People with shoulder pain who expect physiotherapy to help them are likely to have a better recovery than those who expect only minimal or no improvement, according to our latest study. We also found that people are likely to have a better recovery if they are confident they will be able to continue doing things that are important to them, such as socialising, hobbies and work. Shoulder pain affects people of all ages and can become persistent. Injury and overuse are common causes of shoulder pain, but sometimes the cause is unclear. It can disturb sleep, interfere with work, leisure and everyday activities like washing and dressing. Exercise, prescribed by physiotherapists, is an effective treatment for shoulder pain, but not everyone benefits from physiotherapy. 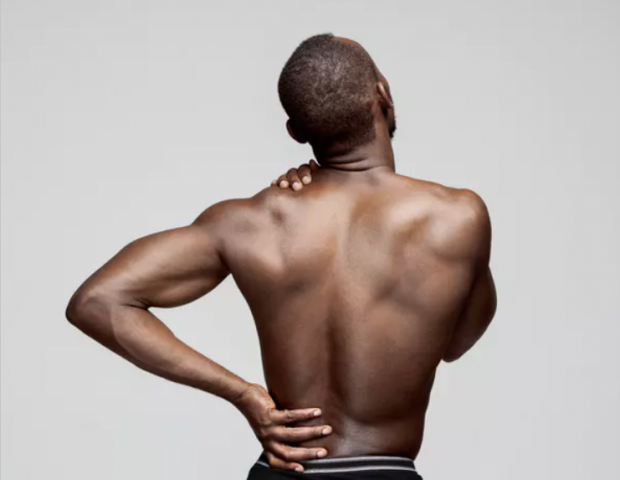 Researchers from the University of East Anglia and the University of Hertfordshire in the south-east of England, together with local physiotherapists, wanted to find out more about the characteristics of people who benefit from physiotherapy compared with those who continue to experience persistent pain and disability. Knowing the outcome is important for people with shoulder pain as it helps them decide whether or not to pursue a course of physiotherapy. Our study, published in the British Journal of Sports Medicine, included 1,030 people attending physiotherapy for musculoskeletal shoulder pain in 11 NHS trusts across the east of England. We collected information on 71 patient characteristics, such as age, lifestyle and medical history, and clinical examination findings before and during the patients’ first physiotherapy appointment. What surprised us was that patients who had said they expected to “completely recover” as a result of physiotherapy did even better than patients who expected to “much improve”. The most important predictor of outcome was the person’s pain and disability at the first appointment. Higher levels of pain and disability were associated with higher levels six months later. And lower baseline levels were associated lower levels six months later. But this relationship often changed for people who had high “pain self-efficacy”, that is, confidence in the ability to carry on doing most things, despite having shoulder pain. Another surprise finding was that people with high baseline pain and disability, but with high levels of pain self-efficacy did as well as, and sometimes better than, people with low baseline pain and disability and low pain self-efficacy. This is the first study to investigate patient expectations of the outcome of physiotherapy for shoulder pain. Earlier research shows that high patient expectation of recovery predicts a better outcome following physiotherapy for back pain and neck pain, and a better outcome following orthopaedic surgery. On a similar note, this is the first study to show that higher pain self-efficacy predicts a better outcome in non-surgically managed shoulder pain. Previous research has shown that self-efficacy predicts a better outcome for a range of other health conditions. Also, people with higher self-efficacy are more likely to do the home-exercise programme suggested by their physiotherapist. If you have shoulder pain, there are several ways to increase your pain self-efficacy. Work with your physiotherapist to understand and manage your symptoms. Practice your exercises together and ask your physiotherapist for feedback, including how to adjust your exercises to make them harder or easier. Finally, make sure you discuss what you want with your physiotherapy and the activities that are important to you.